Brown Henna makes coloring easy. This unique Brown Henna hair dye spreads quickly and evenly, right to the roots of your hair. It imparts slickness and shine, leaving your hair soft, fragrant and Brown Henna fully manageable. After research & development, we have developed our herbal natural Brown Henna hair color that gives a shiny natural deep Brown Henna color to hair. Superior in quality, the color contains maximum amount of Herbal ingredients and minimum chemical ingredients. Superior in quality, our natural Brown Henna hair color does not have any harmful effect. 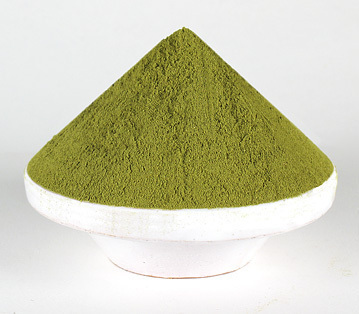 High in quality and effectiveness this Brown Henna powder can be used to maintain and beautify ones hair for years. · 100% Pure and top quality henna used. · Chemical content after dilution is less than 3%. · Long lasting, stay in hair for 20-25 days. For Our interesting Buyers, We Offer a Facility of Providing a free sample kit, Which includes, Henna Based Hair Colors 2 sachet, 10g each (Black , Brown, Light Brown, Burgundy, Chestnut) and 10g Natural Henna. Only Shipping Cost through DHL Express (Delivery in 3-4 working days) would be charged. Delivery Charges: USD 20 per sample kit. Owing to our experience of more than a decade and a half, we have been able to position ourselves amongst the leading names engaged in manufacturing, exporting and trading of Herbal Products. Processed in D. K. Industries situated at Ghaziabad (U.P.) India Since 2006 by our own brand name as "SHAGUN GOLD". Our excellence in the domain enables us to meet the various requirements of hair care and body art of our clients with a range of products which comprises Mahogany Henna Hair Dye, Natural Herbal Powders, Henna Powder, Herbal Mehandi, Hair Pack Powder and many more. Each of our offered products is appraised by our clients for the premium quality, long lasting colors and purity. Our offered products are widely used by Individuals and Beauty Parlors to design body art, tattoo, hair nourishment and others. With the assistance of our professionals and advanced manufacturing unit, we have been able to create a benchmark in the industry. Owing to our constant endeavor to gain complete client satisfaction and appreciation, we have been able to create a spread out client base in various parts of the world such as South Korea, France, Japan, Italy, Kazakhstan and USA.